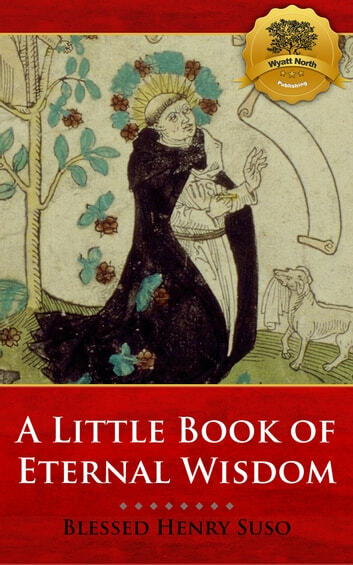 This book comes complete with a Touch-or-Click Table of Contents, divided by each section.The first writing from the pen of Suso was the Büchlein der Wahrheit (Little Book of Truth), which he issued while a student at Cologne. Its doctrine was unfavourably criticized in some circlesvery probably on account of its author's close relations with Eckhart, who had just been called upon to explain or to reject certain propositionsbut it was found to be entirely orthodox.As in this, so in his other writings Suso, while betraying Eckhart's influence, always avoided the errors of his master. The book was really written in part against the pantheistic teachings of the Beghards, and against the libertine teachings of the Brethren of the Free Spirit. 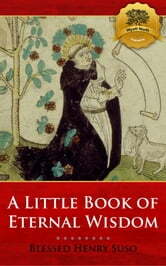 Henry Denifle considers it the most difficult "little book" among the writings of the German mystics.Whereas in this book Suso speaks as a contemplative and to the intellect, in his next, Das Büchlein der ewigen Weisheit, published early in 1328, he is eminently practical and speaks out of the fullness of his heart to simple men who still have imperfections to be put off. Karl Bihlmeyer accepts Denifle's judgment that it is the "most beautiful fruit of German mysticism", and places it next to the Homilies of St. Bernard, and the Imitation of Christ by Thomas à Kempis. In the second half of the fourteenth and in the fifteenth century there was no more widely read meditation book in the German language.In 1334 Suso translated this work into Latin, but in doing so added considerably to its contents, and made of it an almost entirely new book, to which he gave the name Horologium Sapientiae. Even more elevating than the original, finished in language, rich in figure, rhythmic in movement, it became a favourite book in the cloisters at the close of the Middle Ages, not only in Germany, but also in the Netherlands, France, Italy, and England.After retiring to Ulm, Suso wrote the story of his inner life (Vita or Leben Seuses), revised the Büchlein der Wahrheit, and the Büchlein der ewigen Weisheit, all of which, together with eleven of his letters (the Briefbüchlein), and a prologue, he formed into one book known as the Exemplar Seuses.You can buy other wonderful religious books from Wyatt North Publishing! Enjoy.